The simple things in life can often have spiritual meaning. 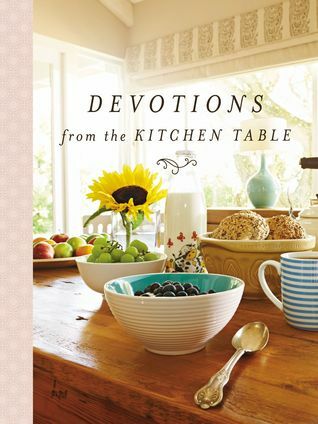 Gather around the kitchen table as the author pulls from the scenes and objects from the kitchen to share simple truths and amazing blessings from God's word. I really enjoyed this book. The cover is attractive and appealing. The simple, but beautiful photography is spread throughout the book. Each devotion begins with a scripture. Then the author ties it in with some thoughts from around the kitchen table. Topics such as recipes, dishes, and family. Each devotional was personal and fit with the theme. This would be an excellent gift. But I would purchase a copy for yourself. I loved the concept and they were very well written and spoke to me. If You Were Me and Lived In. . .